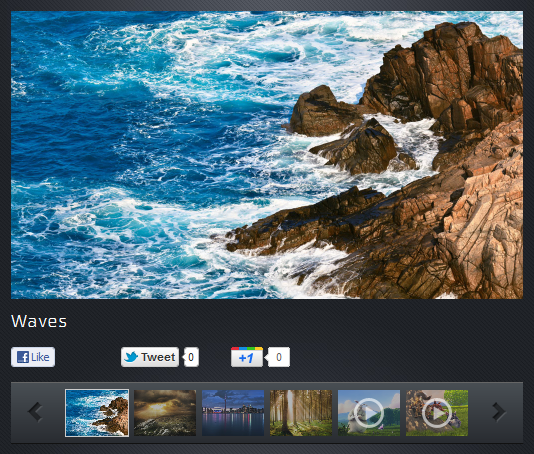 HTML5 Gallery is an all-in-one solution for online photo and video gallery. It supports images, videos, YouTube and Vimeo, provides built-in LightBox effects and social media plugins, supports Google Analytics event tracking. It's easy to install and works on Windows, Linux, Mac, Android, iPhone, iPad and all modern web browsers.